COMET FLORENZ MIXER TAP FOR SMEV Dometic Cooker Hobs. 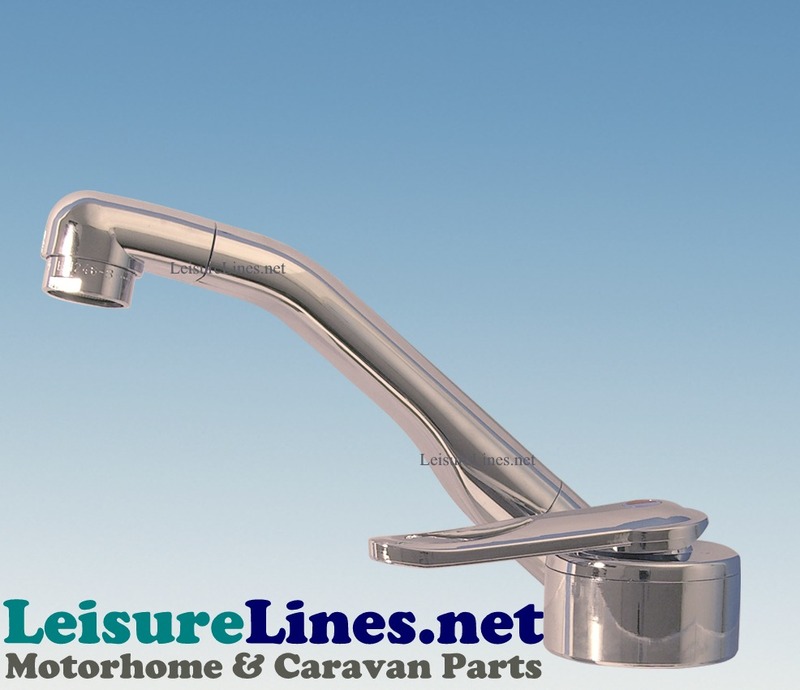 Folding swiveling single lever hot & cold mixer tap Chrome effect with microswitch. 40mm high so suitable for Smev Dometic folding glass lid sinks. Minimum Installation hole is 33mm. Thread length 35mm. Spout length 150mm. Supplied with flexi tails with female 12mm JG connectors and various adaptors to fit 10mm, 3/8", 1/2" barb and 12mm push fit water system connections.